Coin collecting is a hobby that lends itself well to many different levels of interest and in particular, the collecting of contemporary coins appeals to many people because it allows them entry to this hobby of kings at a more modest level of investment. Typically considered to be a hobby gateway, the collecting of coins from modern US coins (1963-date) allows many numismatists to assemble sets from more readily available sources such as the annual sets sold by the United States Mint or even from their own pocket change, but as this era is now growing past 50 years in length, it is becoming a larger and larger piece of the whole of American coinage history. An increasing number of these coins from the modern era are prized at higher levels of collecting, thus integrating these “entry-level” collectors into the mainstream of numismatics. Whitman Publishing has recognized this growing sector of the hobby and has showcased coins of varying levels in their 100 Greatest library. Books featuring Ancient as well as American Coins, Paper Money, Stamps, Medals and Tokens, Error Coins, Military Photographs and even Firearms appeal to a broad array of collectors and interests. Most recently, Whitman has released the third edition of 100 Greatest US Modern Coins by Scott Schecter and Jeff Garrett highlighting coins of the era from 1963-present. Changes made to this newest edition are important as the authors have considered the ability to own these coins as criteria for their inclusion. This is not to say that this edition could be re-titled “100 Greatest Common Coins”, because many of the top listings are highly sought after and seldom seen rarities, but a distinct difference from earlier versions is the elimination of coins that are illegal to own like the 1974 Aluminum Cent, the 2000-W Sacagawea Dollars struck in gold, and the 1964-D Peace Dollar. Author Scott Schecter says, “We decided that all the coins on the list should be collectible. Potentially illegal coins are not.” Although I consider stories of these coins to be important and an interesting part of the rich fabric of our hobby, I also believe that any ranking of the greatest coins should be worthy of pursuit and completing the set should be at a minimum, attainable. Some true rarities that likely should not exist are included such as the 1964 Special Mint Set coins, or the Extra Leaf Wisconsin Statehood Quarters, but not all of the coins on the list are devoid of precious metal content. Bullion coins like the 2013-W Reverse Proof Buffalo Gold $50 coin and 2006-W Reverse Proof Gold American Eagle. Coin varieties like the 2007-W Platinum Eagle “Frosted Freedom” coin and silver offerings like the 1995-W Proof coin, possibly the “King of the Silver American Eagles”, as well as it’s Crown Prince, the 2013-W Enhanced Uncirculated Silver Eagle. 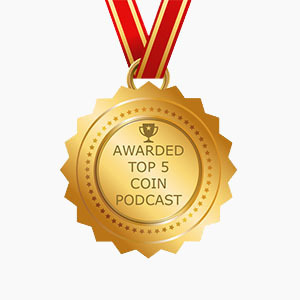 More readily available coins have made the list as well. From the 1996-W Roosevelt Dime and 1982 Washington commemorative Half Dollar to the 1983-P Washington Quarter, these coins have stories that make them interesting as well as collectible. All are told in amazing detail and feature bold, full color photographs. Forewards written by numismatic legends Q. David Bowers and Kenneth Bressett and a new section that addresses “Modern-Coin Grading Essentials” written by NGC Chairman Mark Salzberg give the reader insight from 3 of numismatics most experienced and respected minds. A wonderful reference for any modern collector, subjects include types and surface finishes of modern US Coins, manufacture and packaging, and differences between varieties and errors. New and experienced collectors will enjoy reading this book and referring to it time and again. It is coffee table sized, which makes the photographs large enough for study and lends to hours of enjoyment. At under $30, it also makes an excellent holiday gift.